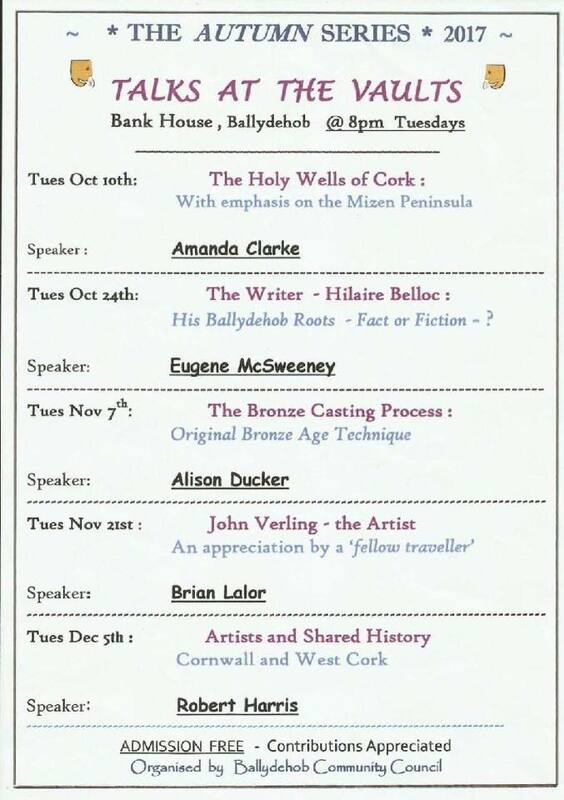 The Talks at the Vaults is a series of informative lectures largely featuring local people addressing local history, heritage and culture. 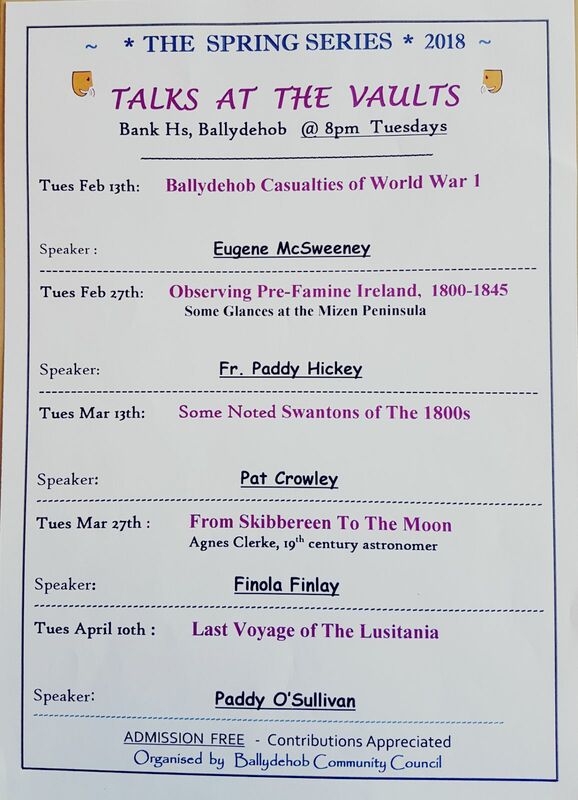 These popular gatherings are held on Tuesdays in the Bank House at 8pm. Admission is free, however contributions are always appreciated.